Northern Rivers Television, now part of the Southern Cross Ten regional network, was officially launched 50 years ago today. The licence to operate the commercial station in the Grafton-Kempsey market, incorporating Coffs Harbour, was granted unopposed to Northern Rivers Television Limited in October 1962. 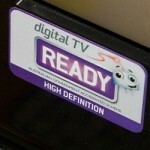 It was part of the fourth stage of the introduction of television across Australia. The television station, NRN10, was opened on 23 January 1965 with a pre-recorded speech by Postmaster-General Alan Hulme. With its transmitter at Mount Moombil and its signal focused north-south, NRN reached as far north as Casino and as far south as Port Macquarie. The transmission tower was also to be shared with ABC‘s new local station, ABDN2, which commenced transmission in June. NRN’s initial local production included a news service each weeknight at 7.15pm, following the relay of national news from ABC. Down To Earth, a joint venture between NRN and the NSW Department of Agriculture, screened every second Wednesday, while 15-minute sports programs were scheduled for Friday and Sunday evenings. The launch of television into the region sparked an immediate boost in retail sales. After only one week of advertising of a pharmaceutical product, chemists across the region reported selling out three months’ supply in just days. Less than a year after commencing operation, NRN was granted an approval to change its broadcast frequency to Channel 11, following reports that the Channel 10 signal was being affected by interference. 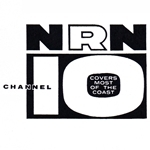 In 1969, NRN struck a deal to have its programming rebroadcast via ECN8, Taree. 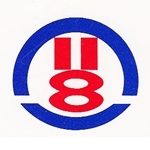 The arrangement was soon terminated when ECN8 was purchased by Tamworth station NEN9 (now Prime7). 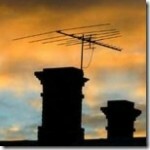 But then NRN completed a merger with RTN8, Lismore, which broadcast as far north as the Gold Coast. 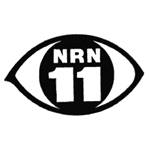 The two channels carried a uniform program schedule and were branded on air as 11-8 and later NRTV. 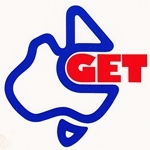 In the mid-1970s, NRN-RTN had joined Great Eastland Television (GET), a group of affiliated regional stations for the purposes of marketing to national advertisers. 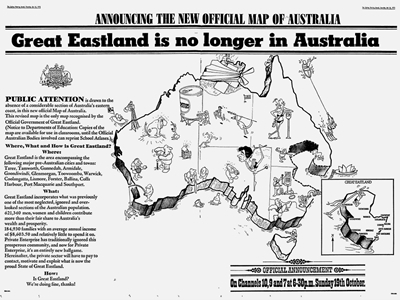 At the time of its launch, GET even went as far as placing elaborate double-page advertisements in Sydney and Melbourne newspapers and prime time spots on commercial television stations in both cities, under the guise that a chunk of eastern Australia was preparing to secede and form its own nation — Great Eastland — in protest that national advertisers were not giving this significant region of 620,000 people its share of attention. In 1979, the station won a TV Week Logie Award for Most Outstanding Contribution to Children’s Television for its series, Rainbow. It was a rare, if not only, time that a regional station has won a ‘national’ Logie and not one specifically designated for state-based or regional television. 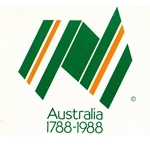 NRTV had ended up in the ownership of Northern Star Holdings Limited and from December 1991, as part of regional television aggregation, expanded its signal to include Upper Namoi (Tamworth), Manning River (Taree) and Newcastle as the larger region’s Network Ten affiliate. Aggregation saw NRTV’s network expand to over 40 transmitter sites from the Gold Coast in the north, Gosford in the south and Narrabri to the west. Meanwhile, rival operators Prime and NBN entered into NRTV’s market as affiliates of the Seven and Nine networks, thus giving local viewers a choice of three commercial channels. 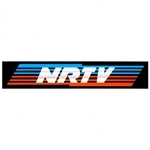 In 1994 NRTV was taken over by Telecasters Australia which also owned the Network Ten affiliate in regional Queensland. NRTV was rebranded as Ten Northern NSW, and Telecasters’ later merger with Southern Cross Broadcasting saw the on-air brand changed to Southern Cross Ten. 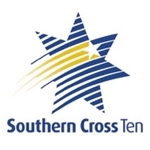 In November 2012, Southern Cross Ten closed down its analogue transmissions across Northern NSW. 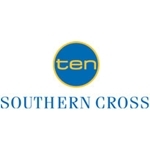 Southern Cross Ten now carries Network Ten’s secondary channels, One and Eleven, and presents local news bulletins from Southern Cross Ten’s centralised facilities in Canberra. And I’m still disgusted that regional TV identifications are being “drowned out” by Sydney, Melbourne and the likes. Any news bulletins we see in regional NSW should come out of the studios that served us BEFORE the accursed aggregation. NBN can do it, and with the technology available these days, there’s absolutely NO excuse for other regional TV broadcasters not to do their own new bulletins. Sydney faces(or even Canberra faces) should NOT be seen outside Sydney(or Canberra)! You can be disgusted there Neil…. But television as a whole faces a new threat of internet on demand video such as NetFlix, Stan and Presto. I don’t think we will see the days of localism again, in fact…. I think we will see the exact opposite and more of a consolidation of television in this country. No regional station would be able to survive costwise the modern era producing everything locally and even broadcasting locally is proving hard for some (ie. Imparja moving output to Media Hub). 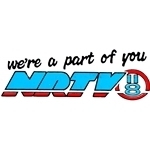 I remember NRN/NRTV well and its a real pity that it disappeared under aggregation. I took a trip back to Northern NSW last year and was shocked to see that only one station was running semi-local bulletins. Even then, the broadcasts weren’t done locally. There are some NTRV/NRN11 outros on YouTube though, so worth a look for the memories. I remember as a teenager in Wauchope near Port Macquarie. We got our Healing 19 inches, big for those days, b and w television set a week before nrn 10 started transmitting. Used to have the test pattern on and listened to the music. We had a massive antenna, 20 feet tall affixed to the roof with guy wires. When they went to air it was from 5pm to 10pm at night. We had the only telly in the street and all the neighbours called in at 5pm with their chips and drinks, our lounge room was packed. Those were the days. John Church and Clive Hansen used to do the news. The first show to air was Circus Boy, the last show for the night was Coronation street. We didn’t fight over what to watch. 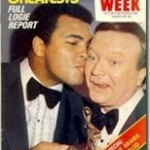 Only one choice until later in the year when ABC tv started broadcasting. Good shows in those days, The adventures of Hiram Holiday, Bonanza, Party Duke show.